Consulta Configure Email Services - BlackBerry Internet Service for further assistance with configuring email services. Si aparece, haz clic en provide additional settings. Si no tienes la opción, ve al paso 4. To create an email address, refer to Configure Email Services - BlackBerry Internet Service. 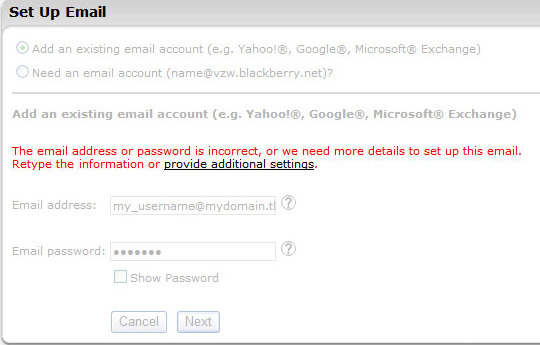 To create an email address, refer to Configuring Email Services - BlackBerry Internet Service.